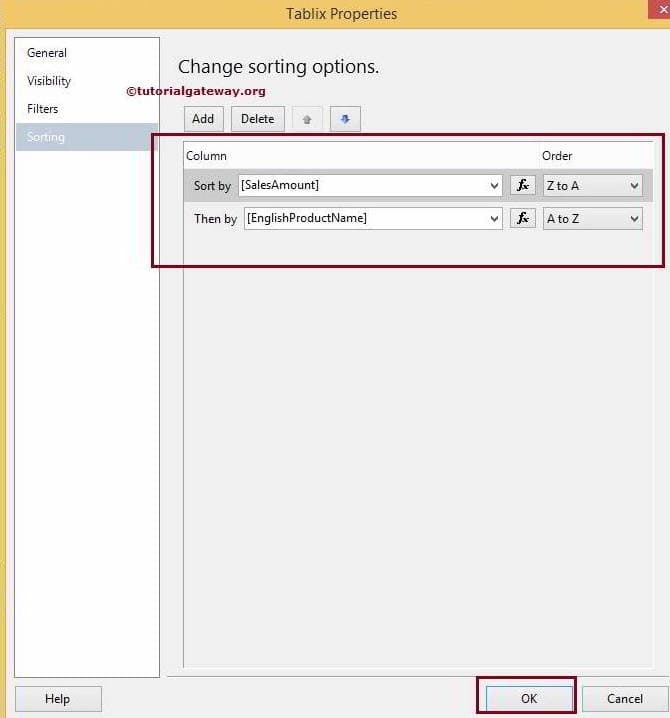 The Sorting In SSRS is similar to SQL ORDER BY Clause. Sorting is used to Sort the records as per the given Expression in Tablix properties and then Sorted data will be displayed in the final SSRS Report. In this article, we will show you, How to Sort the data at the Table level (or tablix level) in SSRS with an example. TIP: It is always better to apply Sorting at Textbox level (Interactive Sorting) only because it will allow the user to dynamically sort the records. We are going to use the below-shown report to explain, Sorting the data at Tablix level. 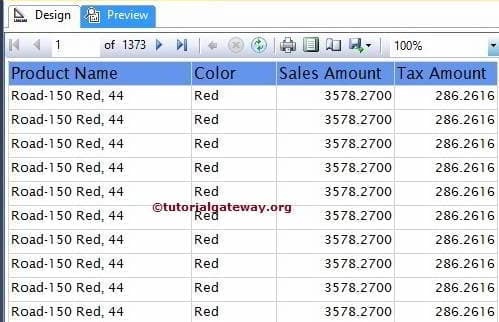 Please refer SSRS Table Report article to understand the Shared Data Source and Dataset we used for this report. 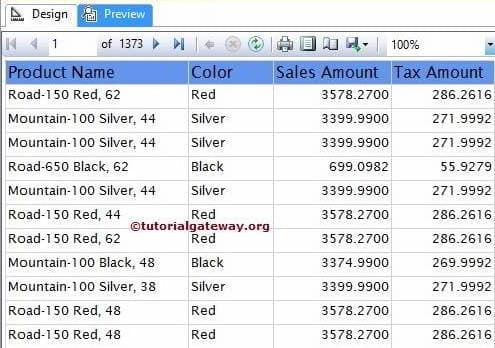 If you observe the below screenshot, It was a normal report with Product Name, Color, Sales Amount and Tax Amount columns. If you observe the above screenshot, it is displaying the data in a unsorted manner. Once we click on the Tablix Properties.. option, a new Tablix Properties window will be opened. Please select the Sorting tab as shown in below screenshot. Sort by: It will allow you to select the available Column from the Dataset or we can create our own Expression by clicking the fx button. For instance, If you want to sort the data by Product Name then select that column name. In this example, We are going to Sort the records by [English Product Name] in the Ascending Order so, Please select the [English Product Name] as Sort By Expression and A to Z as Order. If you observe the above screenshot, data is sorted by the Product Name in the Ascending Order. Let us add one more Sorting option at Tablix level, for better understanding. 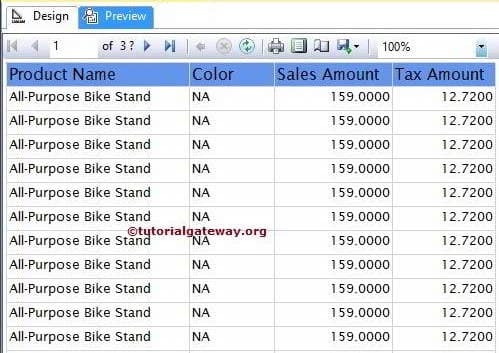 Here, We are going to Sort the data by [Sales Amount] in Descending Order and then sort by [English Product Name] in the Ascending Order. TIP: If you want to delete the unnecessary Sorting Options, Please select the Sort Condition. Next, click on the Delete button. If you observe the above screenshot, Data is Sorted by the Sales Amount in Descending order. Then sorted by English product name in the Ascending order.